Be the first to hear about their new releases and deals. 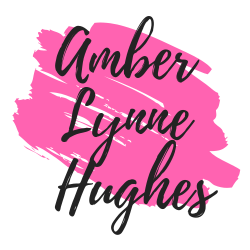 Download the Booksprout app and search for Amber Lynne Hughes today! Amber is a curvy girl who loves steamy romances, Diet Coke, and jeans that fit just right. She lives with her husband, her kids, two dogs, and a cat and somehow in all that chaos makes time to write sweet, sensual stories. Amber's stories are hot, but they always have plot. If you're looking for characters you can root for with a healthy dose of heat, Amber's your girl. Don't expect it to be TOO wholesome, though. Amber writes about girls and guys who get what they want, and usually, that's each other! For updates on Amber's work and access to exclusive FREE content, email [email protected] to join her mailing list.